When the glorious Note7 was announced, TIME described it as “a modest but welcome improvement over its predecessor, offering a more ergonomic design, an enhanced stylus, the same camera as its Galaxy S7 cousin, and some software tweaks” and awarded it 4.5 out of 5 stars. However, the glory days were shortlived with several reports of units catching fire and exploding, Samsung had to permanently recall the Note7 after selling 4.3 million units. This came at a cost as Samsung’s Q3 2016 mobile profits declined by 96% after the mess. Just like any progressive corporation, Samsung launched an investigation into the incident and has finally announced the results. 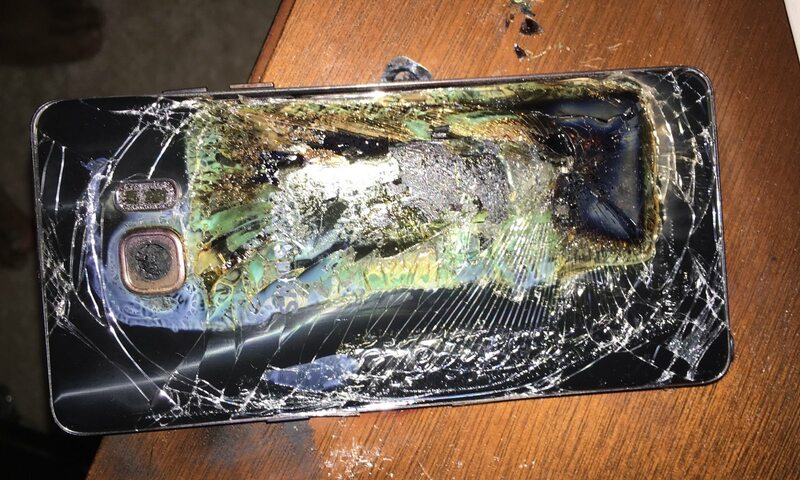 According to Android Police, Samsung and all other firms came to the same conclusion — the problem was with the batteries (not software or the rest of the hardware), and there were two separate issues that caused the incidents.The original batteries for the Note7 had casings too small to accommodate the electrode assembly, which led to thermal failure and short-circuiting with normal use. Additionally, the tip of the cells’ negative electrodes were incorrectly located in the battery structure.